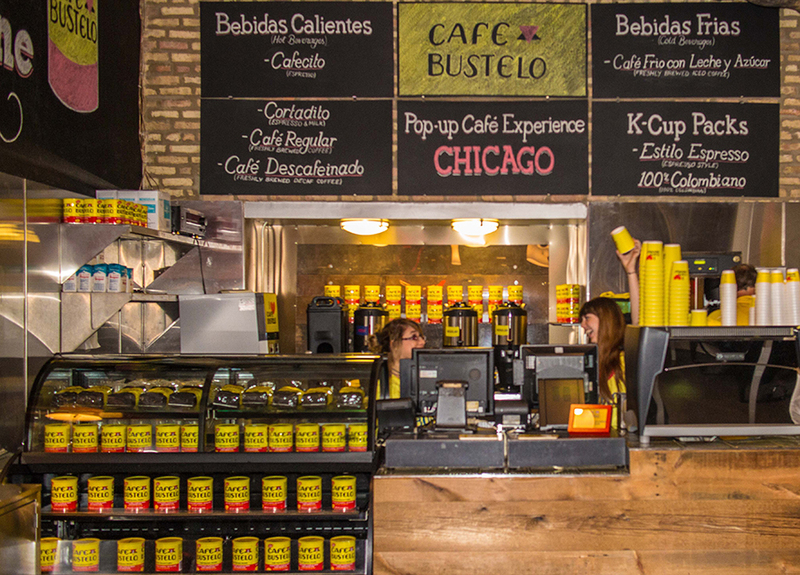 With the goal of increasing product trials and brand awareness in Chicago, OutCold executed a coffee shop takeover to transform an existing Chicago coffee house into a Café Bustelo pop up shop for 10 days. 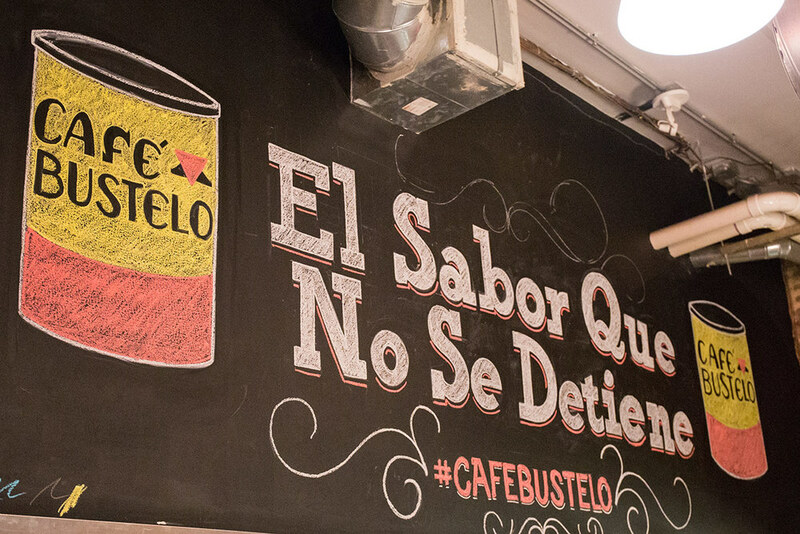 OutCold overhauled the existing coffee shop's decor, equipment and operations to create a unique Café Bustelo brand experience. 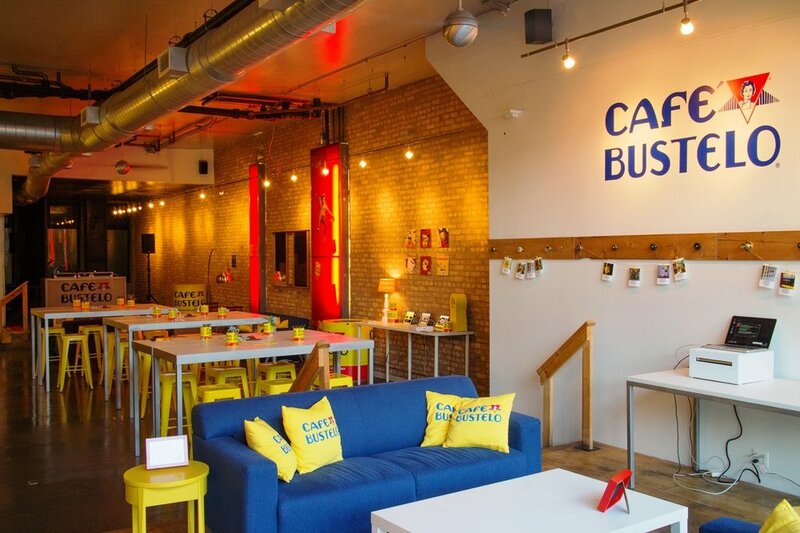 Consumers were invited into the pop up coffee shop to receive free Café Bustelo coffee and samples of authentic Cuban fare. Guests could also relax and take advantage of free wifi and a social photo booth, enter to win a scholarship, and listen to live musical performances.